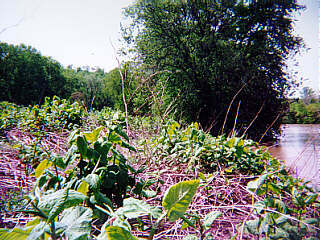 This was the site of an old Indian town located on the southern bank of the Kiskiminetas River near Hyde Park, between Vandergrift and Leechburg. 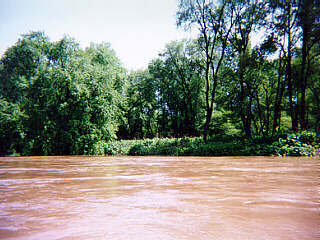 It was at the ford on the Kiskiminetas, where a fork of the Kittanning Path crossed over the river. "At three o'clock we came to Kiskemeneco, an old Indian town, a rich bottom, well timbered, good fine English grass, well watered, and lays waste since the war began." In some old deeds, land about Leechburg is mentioned as being a mile or so below "Old Town." On the meadow lands of this bottom the old and worn pack horses were sent to regain strength. This is sometimes mentioned in connection with Carnahan's Blockhouse and Old Town.